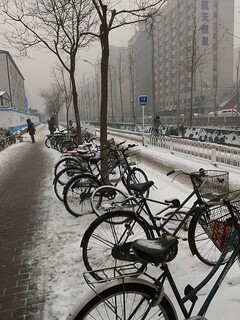 Snow is back in our lovely Beijing city, just in time for Christmas period. 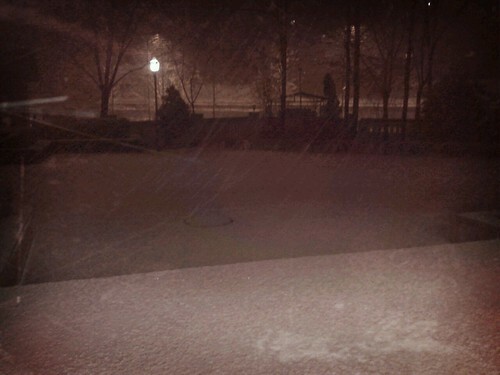 This is the second time that I can see snowfall after a quick storm early this year. It is been 2 days of snowfall without interruption. The temperature is more suitable than the previous freezing winter weeks (between -5 and 0 degrees). 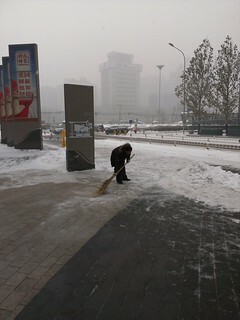 The Winter was amazingly cold in Beijing (between -15 and -10 during 3 months) for a foreigner like me. The temperatures seemed to rise up last days. Everybody started to talk about Spring and Summer which will follow closely. Surprise for St Patrick’s Day – Huge snow falls in Beijing! Beijing city woke up this morning with an agreeable surprise, first snowflakes of the winter.